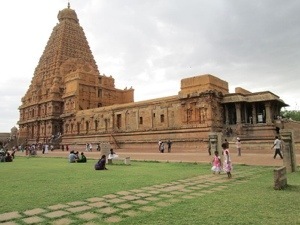 The Brihadeeswarar Temple or Peruvudaiyar Kovil பெருவுடையார் கோயில் / தஞ்சை பெரிய கோவில் is located at Thanjavur in Tamil Nadu. This is one of the largest temples in India. The temple was built in the 11th century by Chola kings.